Self-driving cars are not just visions for the future, many cars already have autonomous technology and features onboard. AN AUTONOMOUS CAR is one that is able to sense its environment and navigate without any input from humans. 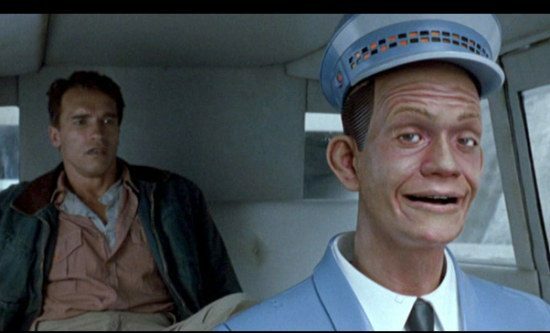 Ideally, the only input from human drivers should be the destination – much like in Total Recall (the original movie, of course), when Arnie jumps into the autonomous taxi called Johnny Cab and instructs the robot to just “drive… anywhere” but Johnny Cab can’t go without an address. Arnie then proceeds to rip the robot out of, oh wait, maybe forget about that bit. What we learn from Total Recall (apart from “a man is defined by his actions, not his memory”) is there will always be a need for human input and interaction, if for nothing else other than safety and though we think of them as a futuristic concept, autonomous cars and technology have been around for a while now. In fact, many cars already on our roads have self-driving features that allow for semi-autonomous driving and manoeuvring, and no, these are not just found in luxury motors. Let’s take a look at some of this tech and the cars which currently utilise it. Traffic jam assist works together with Audi’s adaptive cruise control (ACC) and the engines Stop/Go feature. It keeps the car at a safe distance from the one in front and in conjunction with the S tronic it can automatically set the vehicle in motion again after a short stop. The car can take over steering duties on well-paved roads, as long as the traffic is moving slowly. The system uses radar sensors and a video camera that guides the car through gentle steering interventions and follows the preceding vehicles within the system limits. The traffic jam assist orientates itself by the lane markings and the other vehicles on the road. These driver aids help the car to maintain the desired speed as well as the distance from the car in front with automatic braking and accelerating. The car also takes over the steering and automatically stays in the middle of the lane. A stereo camera located near the rearview mirror gives the car depth perception to identify pedestrians and lane markings. Five radar units, including one in the lower grille, monitor traffic from every direction. Some of these features can be used at speeds up to 210km/h. BMW allows three seconds of hands-off driving before its warning system activates. This semi-autonomous technology is designed to take any stress out of parking. This Active Park Assist uses ultrasonic sensors to measure the parking space and determine if the car can fit. Then the computer steers the car into the space. All the driver has to do is control the brake, accelerator and gears. The car then pulls out of the spaces, too. The Perpendicular Parking system can sense if there’s space for the car to fit, then reverses the car in and the Side Parking Aid warns if there are any lateral obstructions. Hands-off driving continues until the car is safely and securly in the parking space. Like the BMW above, Mercedes also uses a stereo camera system, which is mounted behind the windshield, to see lane markings. There are five radar units looking forward and to the sides to spot both nearby and distant traffic. This system, again, helps with maintaining a safe distance from vehicles in front and helps hold the car in the middle of the lane markings. It provides lateral steering support if the car drifts out of its lane. Furthermore, if the car detects that a collision is likely when changing lanes, Active Lane Keeping Assist kicks in and uses its targeted brake application to try to get the car out of harms way. Some of these features work at speeds up to 200km/h. Mercedes allows 12 seconds of hands-off driving before its warning system activates. Perhaps the most famous, or infamous, semi-autonomous driving feature in any car at the moment is Tesla’s Autopilot. This feature steers the car within a lane, change lanes with a tap of the indicator and manages the car’s speed by using active, traffic-aware cruise control. This is the only car that allows for hands-free lane changes. Digital control of motors, brakes, and steering helps avoid collisions from the front and sides (as we know now, this is not always the case), and prevents the car from wandering off the road. Autopilot also scans for parking spaces and can parallel park on command. After the fatal accident this month, which saw a man die whilst his Tesla Model S Autopilot function was active, Elon Musk, Tesla’s founder reminded us that he created Autopilot to assist drivers and not to let a car drive itself. And this seems to be the message so far about these driver’s aids and semi-autonomous features. All these features require some input from humans to make them work and keep them safe, much like Johnny Cab, and failure to supply input to the car for a certain amount of time will usually bring the car to a safe stop. So although fully autonomous cars are a few years away yet, the technology is here and being used every day on our roads. However, without our human touch, the technology can’t be used to its full potential. This ensures that we will always be in charge of our robocars unless of course, Christine decides to make a reappearance. Email “Autonomous cars - the future is already here”. Feedback on “Autonomous cars - the future is already here”.